ProSeries is a popular tax solution for all the tax professionals all over the world. Apart from e-filing taxes, it offers diagnostics to correct errors, various business forms like 1120, 706, etc. and Client Analyzer among others. In a survey by The Tax Adviser, ProSeries users rate its ease-of-use as the top reason of liking this software. 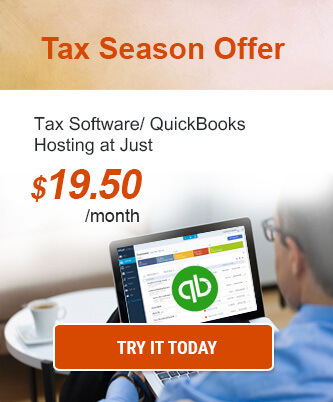 Intuit ProSeries come as a convenient tool for tax preparers. However, some limitations come with installing it on the local system. These limitations can be overcome by hosting ProSeries on the cloud. Cloud provides the ProSeries with the mobility, flexibility, and scalability that the local desktop cannot. It also offers advanced data protection and availability for the tax software. 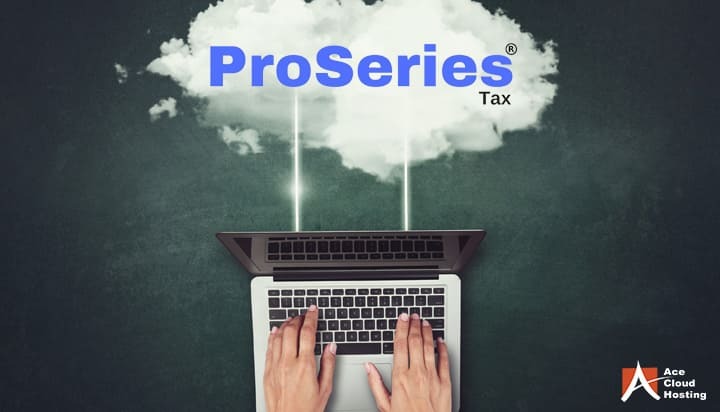 Here are some of the aspects of hosting ProSeries tax software on the cloud that improves productivity and ensures optimization. With ProSeries tax software hosting you can access your software from your house, park, coffee shop or basically from anywhere at any time of the day. Working remotely comes with many perks like maintaining a work-life balance, no stress of commutation, and increased work flexibility. You need not worry about attending your meetings or seminars as your software is always at your fingertips. You can access ProSeries through portable devices such as laptops, smartphones, and tablets. As the software is hosted on the cloud, it doesn’t require any installation on the local device. Who doesn’t want a secure environment for their tax process? The tax filing process involves the processing of some personal and highly confidential information of the clients. Any breach in the data can have hazardous effects. The cloud hosting providers adhere to high-security standards and deploy advanced security practices. Some of these include multiple firewalls (software and hardware), Intrusion Detection and Intrusion Protection System (IDS and IPS), multi-factor authentication, and 256-bit data encryption among others. In addition to this, data centers in which the ProSeries is hosted have a state-of-the-art infrastructure to keep your data secure. With multi-level access authentication and redundant hardware, your data is kept safe from unauthorized users and ransomware attacks. For you to deploy such an infrastructure and security methods will cost a fortune. However, with the cloud, it comes as almost a negligible amount. Support is the first thing that comes in your mind when you think of available any third-party service. It is a complete nuisance if your issues do not get fixed in time. The clients are expecting you to file tax returns in time. It hampers your reputation if you are not able to do so in time. Hosting ProSeries on the cloud provides you with the efficient support of cloud hosting providers. Some providers offer you with 24*7*365 dedicated support with highly-trained executives available at your beck and call. ProSeries hosting on the cloud enables multiple users to collaborate and streamline the tax filing process. You can share documents with clients and conveniently collaborate with them to request access to specific files. Since the ProSeries on the cloud can be accessed remotely, you can grant permission to multiple users. It is not possible in local infrastructure. In this day and age, it is not sufficient for the tax process to be cost-friendly. For the optimization of your process, you should be cost-effective. Cost-effectiveness implies that all your requirements are fulfilled along with reliable services and advanced features and that too, at affordable costs. 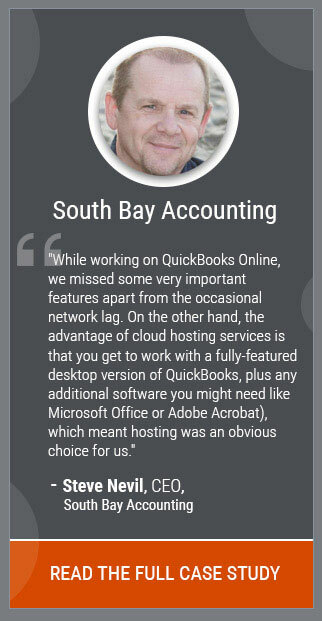 With Intuit ProSeries cloud hosting, you get just that. The cloud hosting providers offer you services and features as per your requirement. You have to pay as per your usage, and not a penny more. Moreover, you can upgrade or downgrade your plan any time you want. You will be charged as per the plan. Also, as software is hosted on the cloud, there is almost no cost of hardware. The hardware upgrade and replacement are the cloud provider’s responsibility. Due to this hardware-cost independence, the IT costs also reduces significantly. As a tax professional, all you need is to focus on your work and not worry about the underlying infrastructure. However, it is almost impossible to get rid of the issues that come with the hardware. The hardware have to be maintained and replaced regularly for upgrade or repair. The hardware maintenance and replacement take time which hampers your process. The cloud takes care of all these issues and offers a seamless operation. It makes your software hardware-independent, and the cloud providers offer dedicated technical support to all your issues. One of the noteworthy perks of the cloud environment is high availability. As cloud technology involves a cluster of servers functioning together, the malfunctioning of one server does not affect the performance of your ProSeries software. The cloud hosting providers also ensure the availability of your software by the following methods. a) Uptime – The total time during which ProSeries is functional is defined as uptime. The cloud hosting providers guarantee an uptime value to all the customers in their SLA which makes sure that they are legally bound to provide the uptime. For instance, Ace Cloud Hosting offers a 99.999 percent uptime to all customers ensuring that the process is down for less than 6 minutes a year. b) Backup – It is essential to keep a backup of your data in the event of a crisis. Cloud providers offer you the feature of automated backup to back up your data without fuss. c) Disaster Recovery Plan – Disaster Recovery Plan contains the practices and guidelines to protect your data in the event of a disaster. To prevent your data from a natural or human-made calamity, the data is stored in multiple geographic locations far apart from each other. Hence, if one area is affected, the data can be restored from another location. A word of advice for Tax Professionals! Tax professionals have their hands full during the tax season. ProSeries cloud hosting gives them the ability to accomplish their tasks without any disturbances. They can access the software from anywhere without worrying about coming to the office. They can store critical client information in a highly secure environment. Tax preparers can save revenue on hardware and pay for what they use with multiple users working on the software at the same time. To sum it up, hosting ProSeries on the cloud can offer you a complete package for all your tax-related tasks. ProSeries Tax Software Hosting: All You Need for Tax Filing 6 Reasons Why People Do Not Opt For A Cloud Hosting Provider 5 Reasons to Choose Sage 100 Contractor Hosting How Sage 300 ERP Cloud Hosting Help Optimize Your Business? The disaster recovery plan is a feature that will lure anyone towards the hosted version of proseries.